He may be the most effective presidential Middle East envoy in decades, but he doesn’t get much respect from the press. 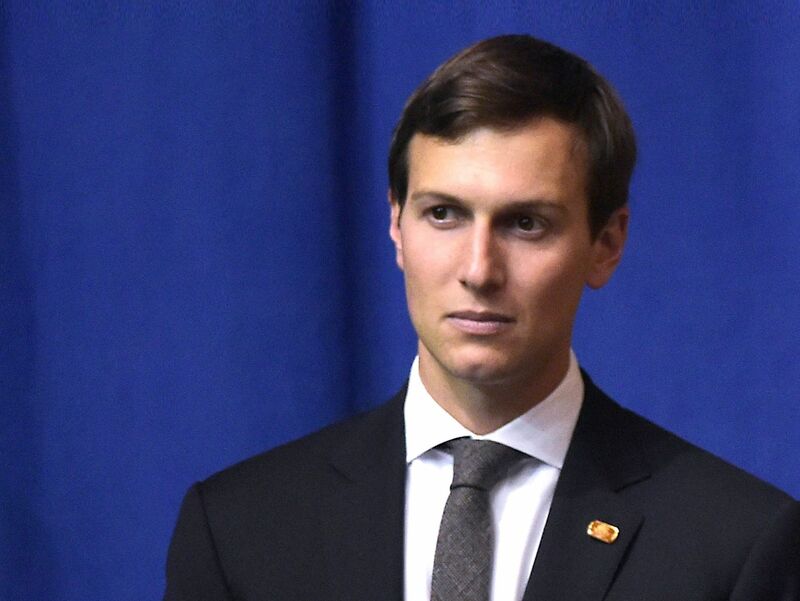 It is hardly an understatement to say that Jared Kushner, a baby-faced real-estate magnate and presidential son-in-law, didn’t send expectations soaring when he was named to supervise Israel-Palestine peace efforts. Lacking years of diplomatic experience and advanced degrees in Near Eastern politics, his appointment seemed more like favoritism than a confirmation of expertise, more a presidential gift to his daughter than a strategic decision. What little coverage Kushner has received has varied from skeptical to scornful. And, tellingly, he hasn’t tried to dispel the pundits’ prejudices. He doesn’t travel with reporters or invite press attention. His few appearances are fleeting and uneventful. Still, his frequent visits and stray public remarks reveal a surprisingly sophisticated understanding of the region. Behind the scenes, he is making surprising progress. First, he recognizes that Iran now matters more to the Arabs than Palestine. With Iran and Islamic militants threatening the survival of major Arab states, many Arab leaders have quietly decided to align with Israel—dialing down their interest in the Palestinian drama. Consider that President Trump’s plan to move the United States’ embassy in Israel to Jerusalem did not touch off huge protests in Arab capitals or angry editorials in the Arab press. Kushner was one of the strongest voices inside the White House in favor of the long-promised move. Any other mediator would fret that the move would needlessly complicate his job. Kushner knows that Iran has replaced Palestine as the center of Arab interest, and he spotted an opportunity that few in Washington saw. Second, Kushner realizes that younger Arab generation has a fundamentally different perspective from that of its elders. More than 60 percent of Arabs are too young to remember the 1967 and 1973 wars with Israel, and many more regard them as ancient history. Consider an American equivalent; how many millennials are outraged at the fate of South Vietnam? As a result, younger Arabs largely accept Israel’s existence as a settled fact, and generally see trading with its prosperous economy as essential to their own economic growth. I know. I have heard them tell me these things in the privacy of their living rooms. Their septuagenarian leaders do not share their views, and punish younger leaders who try to independently engage with Israelis—which only deepens the divide. The generation gap is based on practical economic concerns. Young Arabs want well-paying jobs that allow them to marry and start families. They want good schools for the children. Many see no issue with taking an ambulance across the border to an Israeli hospital, unlike their retirement-age relatives who say that they would rather die. To be sure, the Israeli-Palestinian conflict is one of the longest and thorniest conflicts in history. It cannot be resolved quickly or easily. Kushner has publicly acknowledged this, usually adding the idea that new approaches are more likely to bear fruit than old ones. This signals a sharp break with the conventional State Department view that it is better to start modestly, focus on building trust, build the capacity of the Palestinian Authority, foster economic ties between the parties and lay a foundation for still greater capacity on the Palestinian side. Only then, after years of “capacity building,” can the final-status negotiations start. Kushner blunted turned this upside down, adding that it had been tried for decades with little success. In the absence of a political horizon to steer toward, he said, people make decisions based on who is holding guns now. And that cements the current impasse. Finally, Kushner has three key relationships that make progress possible. First, he enjoys the complete trust of the president and has continuous real-time access to Trump. Few U.S. negotiators, at least since Henry Kissinger, have had such a unique bond with the president. Second, he is liked and trusted by Israel’s Prime Minister Benjamin Netanyahu and its influential ambassador to the United States, Ron Dermer. Obama administration officials often publicly faulted Israel’s elected leaders, and the relationship was, at best, lukewarm. Third, Kushner has befriended Saudi Arabia’s thirty-one-year-old deputy crown prince, Mohammed bin Salman. Both are seen as tech-savvy, young disrupters of the status quo, and both favor practical solutions over symbolic displays. Saudi pressure on Qatar to end its funding of Hamas, the Palestinian terror group, would not have happened with earlier generations of Saudi leadership. Other Gulf Arab leaders that I have met with tell me that they have heard positive things about Kushner, and are eager to work with him. In short, Kushner’s correct reading of this unique moment in Arab politics as well as the strong relationships with key players that he has fostered position him, and the United States, to make historic progress in the Middle East. Is peace between Arabs and Israelis possible? Consider the case of my homeland, Morocco. Under the leadership of King Mohamed VI, a constitutional monarchy has emerged with legal protections for Jews and other religious minorities. Here in Casablanca, Jews and Muslims attend each other’s schools, form business partnerships and leave peacefully side by side. With a dose of Kushner’s quiet diplomacy, there is no reason Arabs and Jews couldn’t live the same way in Israel and Palestine.